The United Nations Relief Works Agency (UNRWA), which provides aid to Palestinian refugees, has frequently been criticized for employing teachers and utilizing textbooks that promote anti-Semitism, as well as the fact that the terror organization Hamas has sometimes used its schools to hide its weapons. While the agency has occasionally taken action against some of its employees for their inflammatory social media posts, the issue of anti-Semitism still remains a problem, according to a report (.pdf) issued last week by the watchdog organization UN Watch. One of the employees cited in the report was Om Alaa, a UNRWA teacher who posted a list of her ten favorite quotes from Hitler. Another was Ahmad Khalifah, who posted a video of Hitler and blamed the hacking of his account on Jews. 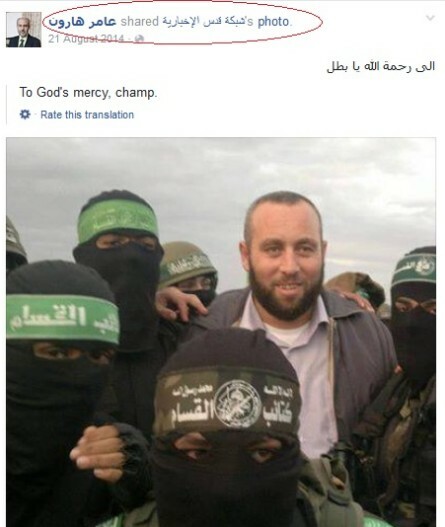 According to UN Watch, the prevalence of such hatred on these accounts “is a symptom of a deeper, underlying problem,” which is “the very existence of the organization, its structure and operations, and core political mission.” Unlike the UN’s main refugee agency, the Office of the UN High Commissioner for Refugees, UNRWA only deals with Palestinian refugees, and (uniquely among refugees) also grants the status to their descendants. “I think that the first thing that the United States needs to do is to demand accountability in a serious way, and I’m not sure that in the past few years when we issued comparable reports like the one we released today…I’m not sure we that we saw the U.S. demand real accountability,” Neuer stated in testimony before the House of Representatives Foreign Affairs Committee last week. “That’s why this morning we’ve written to Secretary of State Rex Tillerson and to Ambassador Nikki Haley to urge them to demand from the UN Secretary General and from UNRWA that they clearly condemn incitement to terrorism and anti-Semitism that is rampant in the organization,” he added. For more on the issue of UNRWA and its role in prolonging conflict, read The Real Palestinian Refugee Crisis, written for The Tower by Asaf Romirowsky, executive director of Scholars for Peace in the Middle East.